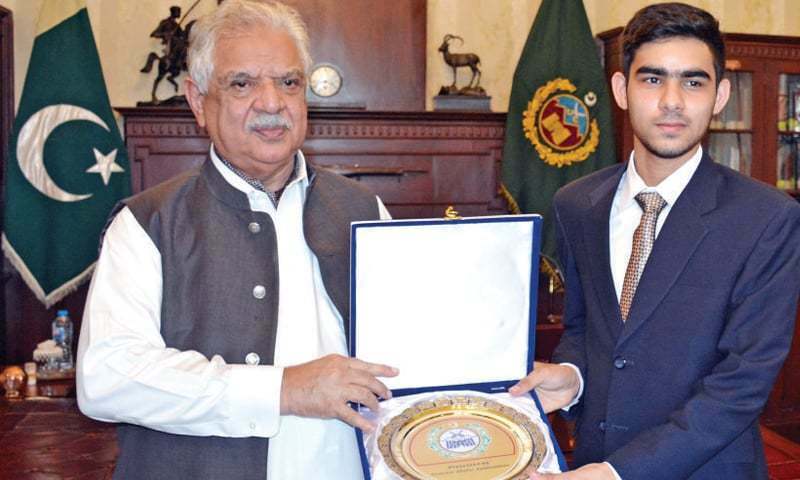 PESHAWAR: Khyber Pakhtunkhwa Governor Iqbal Zafar Jhagra awarded prizes to squash player Khushal Riaz Khan and his coach former World No 10 Amjad Khan at the Governor’s House here on Saturday. The governor said on the occasion that there was no dearth of talent, but such talent needed proper guidance, training and coaching under qualified coaches. He termed good coaches vital for polishing budding youngsters for the tough future challenges. He lauded the performance of Khushal Riaz who played tournaments on the national and international levels. He also appreciated the performance of Amjad Khan as coach of Mr Riaz. Khushal Riaz, a student of Edwardes College Peshawar, remained a top ranking player in Under-15 and Under-17 categories and performed excellently in the British Junior Open, US Junior Open, Japan Junior Open, Qatar Junior Open, Doha Junior Open and Penang Malaysia Junior Open Squash championships and in several tournaments on the national level. The governor said that Pakistan ruled the squash world for long time, but not a single player had come up at the top level since long. 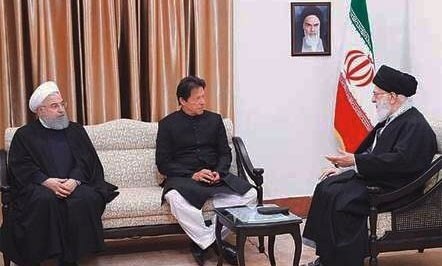 He urged the quarters concerned to take appropriate steps for promotion of squash in which Pakistan had dominated the world for 37 long years. He said that giving international exposure to the young players would be helpful in this regard. Appreciating Amjad Khan as coach, Governor Jhagra expressed the hope that he would continue his coaching on modern lines. In the end, he gave away shields, certificates and cash prizes to Khushal Riaz and his coach Amjad Khan. A great gesture by the KP governor to encourage budding greenshirts squash players like Khushal Riaz Khan and his coach by presenting them shields, certificates and cash prizes. However, it would have been much better if he had done so during his earlier days in the office.